Woodworker Matt Kenney shows you how to build a bench so big and impressive, it's called The Monster. 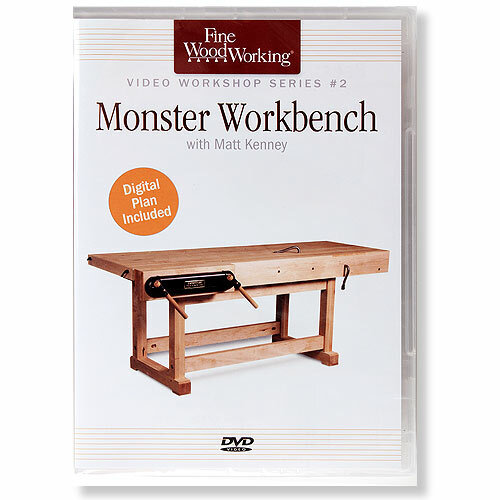 The answer to every woodworker's dream, this bench is perfect for both hand and power tool use. Plus, it features a thick top on a sturdy base with both glued and knockdown mortise-and-tenon joints, along with twin-screw vise and plenty of useful dog holes. Because the video leaves nothing to chance, you really can make it.